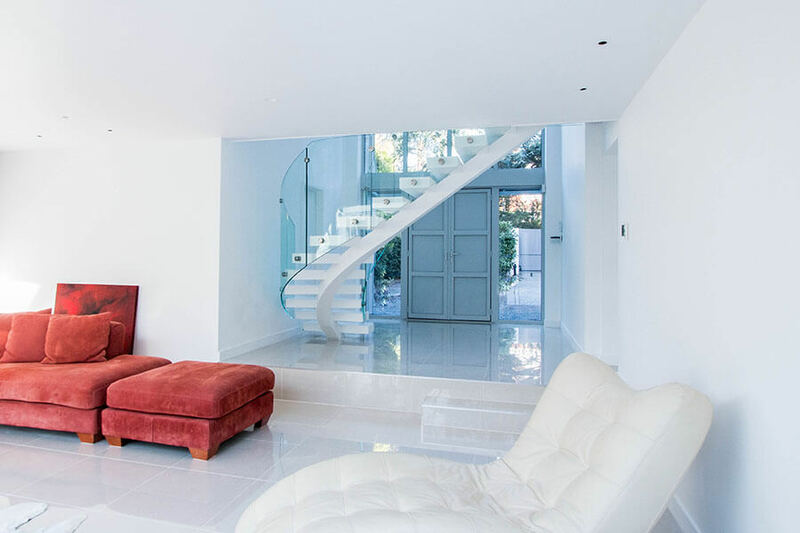 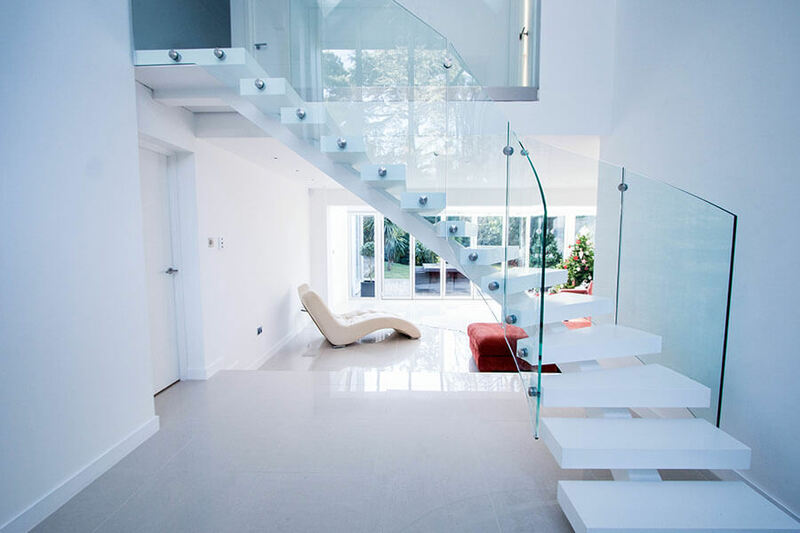 The client asked for a luxurious, contemporary staircase that would be in keeping with his design ambitions. 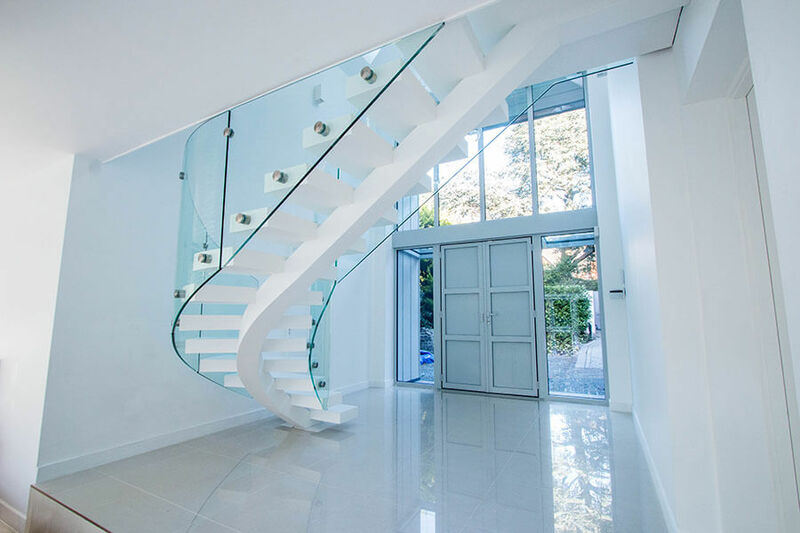 As the stairway would be seen from every angle and could be admired from the garden outside, we decided to create a striking curved shape, that was further accentuated thanks to the use of central spine. 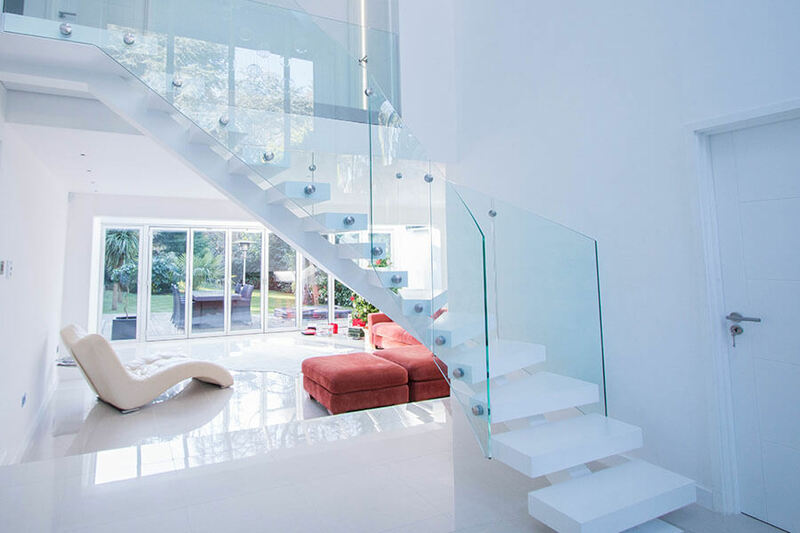 The metal spine and wooden treads are both painted in white, which maintains the immaculate look of the interiors. 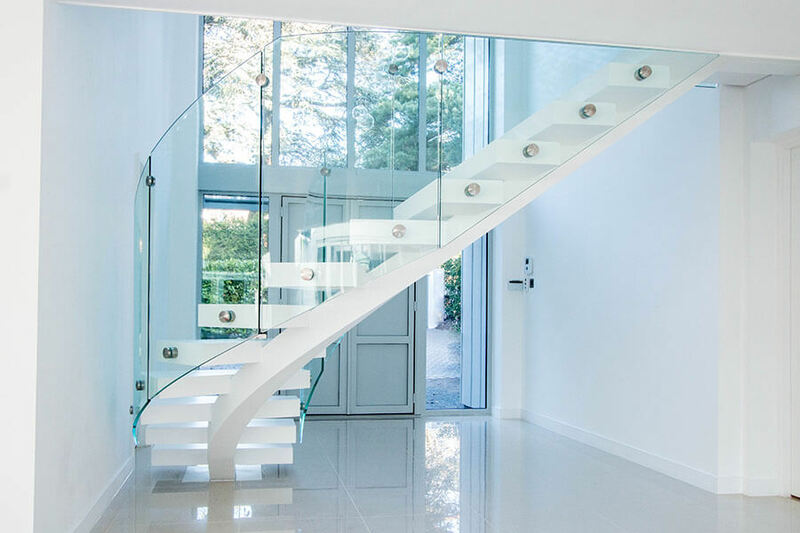 Finally, open treads and a frameless glass balustrade helped to create an entrance lobby full of light and space.